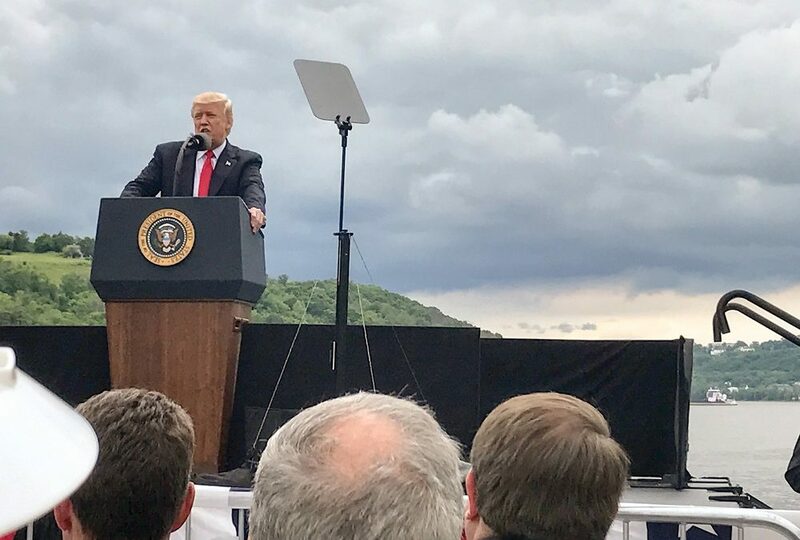 President Donald Trump traveled to Rivertowne Marina in Cincinnati on June 7 to pledge a $200 billion federal investment for infrastructure, which includes the inland waterways. Trump mentioned several recent incidents with locks and dams that have delayed traffic on the inland rivers. He said he would reduce regulations, including environmental reviews, to help major infrastructure projects go from start to finish faster. 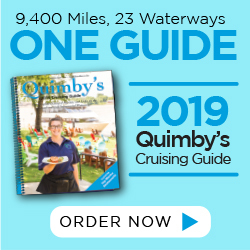 The president also acknowledged that roughly 60 percent of the U.S. grain exports use the inland waterways to reach the Gulf of Mexico and that up to 25 percent of the country’s energy cargo, such as coal and petroleum, uses the same waterways. As far as the federal investment is concerned, Trump said using $200 billion in public funds would generate $1 trillion in investment to pay for construction projects. “We will work directly with state and local governments to give them the freedom and flexibility they need to revitalize our nation’s infrastructure,” he said. Waterways Council Inc. (WCI) released a statement following the president’s speech, in which the organization said it applauds the president’s efforts to bring attention to the nation’s inland waterway system. “Our country has not seen this kind of leadership on infrastructure since President Franklin D. Roosevelt’s 1930s New Deal to build our locks and dams, or since the 1950s by President Dwight D. Eisenhower to construct the National Defense and Interstate Highway system,” said WCI. “Today, presidential leadership was demonstrated once again by emphasizing the importance of the inland waterways transportation system and this critical national infrastructure, with the backdrop of the river itself. Eric Thomas, general manager of Benchmark River & Rail Terminals LLC and executive director of the Central Ohio River Business Administration in Cincinnati, attended the president’s speech along with many others in the river industry. Thomas said the ball is now in the river industry’s court. “My takeaway is that Trump has set us up for the perfect pitch and a home run, and it’s up to us to swing the bat and get that home run,” he said.